Ready for Responsive Web Design to future-proof your higher ed website? 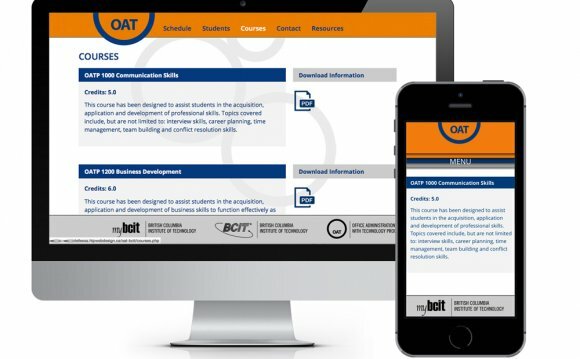 Are you tired of designing, developing and maintaining multiple versions, so your school’s website looks good and works well on smartphones, tablets and desktop? Do you need to help your university, college or unit prepare for its next website redesign project? Have you been asked to get your institution a mobile website by next semester? Responsive web design can help: it’s the next big thing in web development for higher education. More than 150 of your higher ed colleagues have tackled their school’s website responsive web challenges by taking this online course since January 2012. What will I learn about Responsive Web Design for Higher Ed? Really interested in this course? investing 10 hours per week of your time on course materials, quizzes, discussions with your classmates and assignments. studying when it’s convenient for you as long as you meet the weekly deadlines for class discussion posting and assignment submissions. exchanging with a small group of your peers in our sessions limited to 10 participants working in institutions of higher education. working on weekly responsive web design hands-on assignments you can use the next day at work: wireframes, web page HTML code and CSS stylesheet, etc. getting detailed and prompt feedback on all your graded assignments from your professor. Who will be my professor? Stewart has spent the last decade working in higher ed. He has worked in web management for two institutions, Athabasca University and Grant MacEwan University, and as an instructor at another, Lethbridge College. He is the founder of eduStyle and the eduStyle Higher-ed Web Awards. He is the co-author of the eduStyle Guide to Higher-ed Homepage Usability. He is also the co-founder of Demand Creativity, a web design agency. He is an author, teacher, blogger, coder and designer. Should I take this course on Responsive Web Design for Higher Ed Course? How will this course pay off for my institution? No travel expenses or down time while you learn much more than you would by attending any 1-day workshop or conference: 4 weeks give you the time to absorb all the concepts and acquire new skills. The focus of this course is responsive web design for higher ed: everything will apply to your situation. Your classmates will all work at universities, colleges or schools: you’ll find out how other institutions tackle responsive web design challenges. You will learn by working on practical assignments: you’ll be able to implement best practices at work even before the end of the course. Your course registration covers everything you need including a 1-year access to all the course materials. What is included in my course registration fee? Course materials: screencasts, readings, quizzes, 4 graded discussions & 4 graded assignments. Unlimited questions via the “Ask the Prof” discussion board during the 4-week session. Textbook: Responsive Web Design by Ethan Marcotte (PDF/EPUB version). 1-year access to the regularly updated online course materials. Recognized certificate of achievement in responsive web design for higher ed upon completion of the course with a final grade of 80% or more.